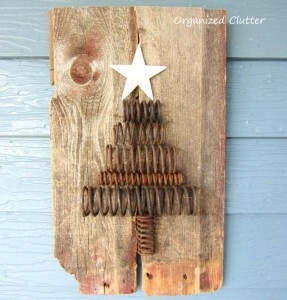 Looking for a new and creative way to add a Christmas tree to your primitive decor? Well I have just the thing for you! I absolutely love this idea, and I am definitely going to look for some springs to create one for me!